Bexfield Titanium Scissors are ideal for any cutting task at home or at work, and successfully combine comfort, alignment, hardness, sharpness, and precision. Titanium is a tough, hard, corrosion-resistant metal. 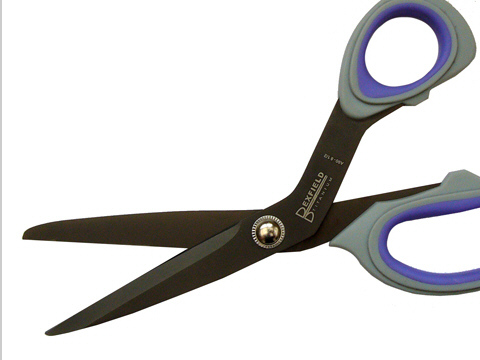 Bexfield Titanium Scissors are used by artists, craftworkers, designers, dressmakers, engineers, florists, hairdressers, manicurists, modelmakers, nurses, teachers, and technicians, to cut a wide range of materials. The A90 scissors are 21.6cm paper, card, or gift-wrapping scissors. The A91 scissors are 12.7cm thread or button snips. The A92 scissors are 17.8cm home, office, or workshop scissors. The A94 scissors are 14.0cm embroidery, craft, or hobby scissors. 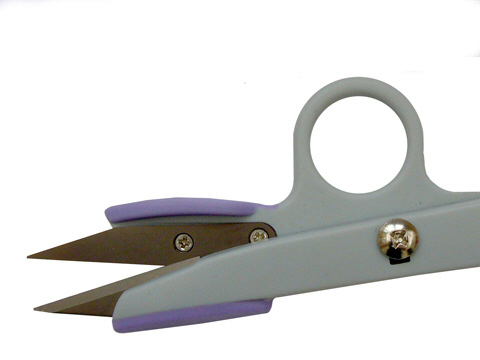 The A99 scissors are 24.1cm dressmaking or fabric shears. Bexfield Titanium A90 Paper Scissors. Bexfield Titanium A91 Thread Snips. 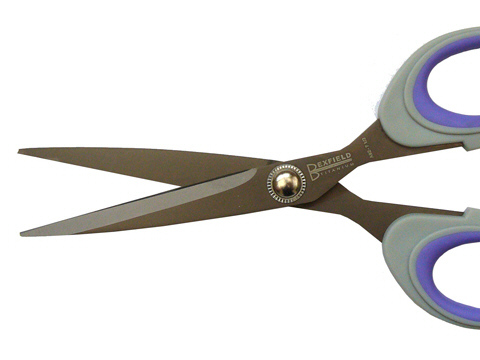 Bexfield Titanium A92 Home Scissors. Bexfield Titanium A94 Craft Scissors. Bexfield Titanium A99 Dressmaking Scissors. High street shops don't ususlly sell high quality scissors for precision work: most scissors are designed to cut wrapping paper and thin cotton. 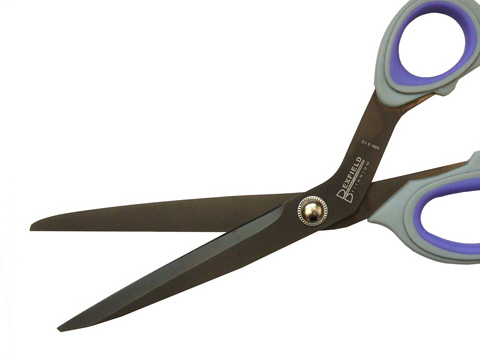 Economy scissors usually use regular mild steel, inadequately hardened, and laquered to hide the poor finish. The laquer will soon wear away and the metal will rust or stain. They're often rebranded, repackaged, and repriced, with different coloured handles: so it's hard to know what you're getting. Poorly machined, aligned, and hardened cutting edges will cut unevenly, and will soon go blunt or get notched. Poorly machined and aligned handles will make it diificult to hold reliably. If they're uncomfortable to hold, the handles can nip your skin whilst squeezing. Tight hinges won't release unless you use both hands. Poor hinges will gradually loosen and twist as you cut, making delicate work less accurate and more difficult. At worst, they won't cut. 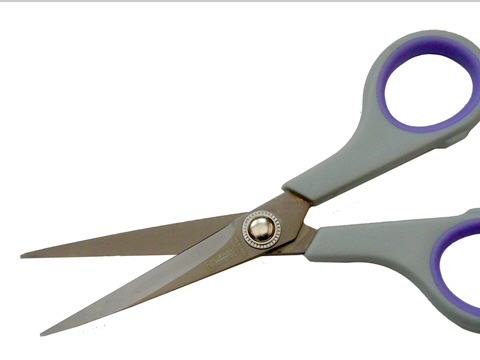 Scissors are not designed to cut plant ties with a wire centre, or vinyl floor tiles. If you want to work with these, or other hard materials, you need special snips or a cutting knife: mail or call.